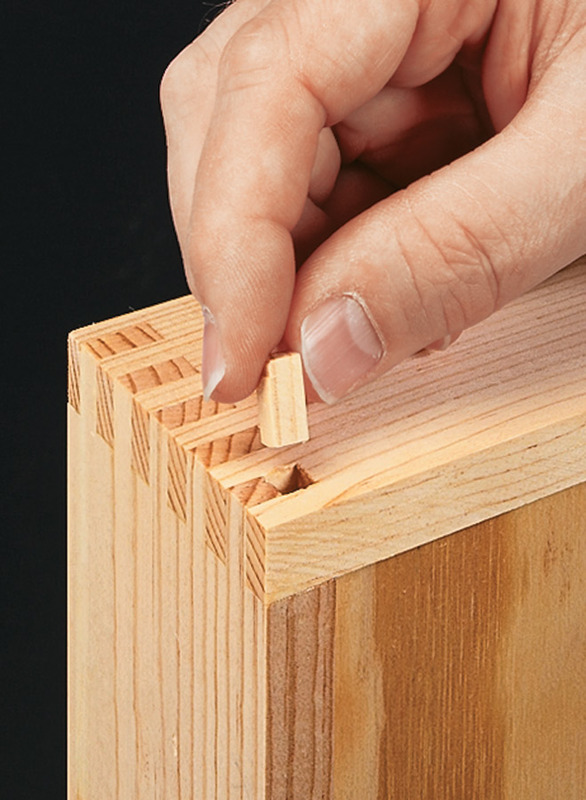 Traditionally, box joints are used to make boxes with straight sides and corners. 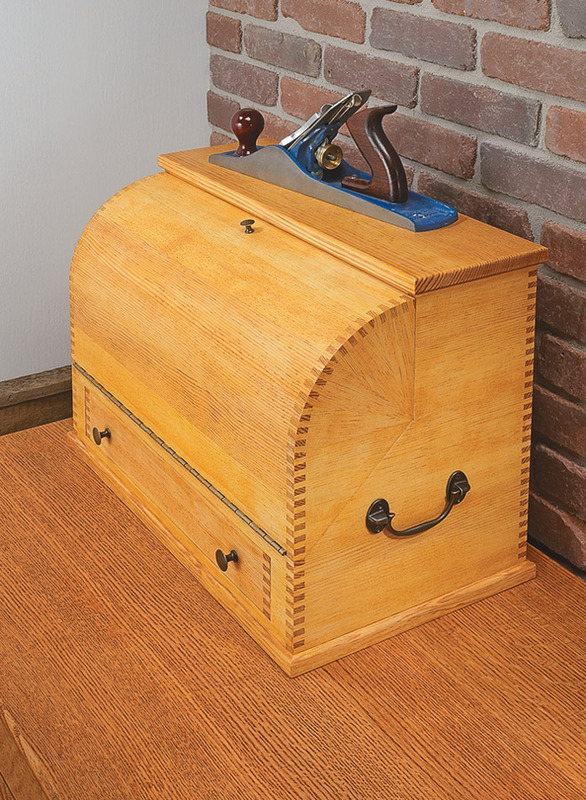 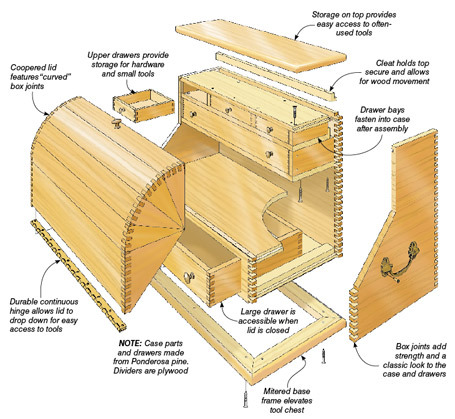 So how do you make “curved” box joints, like you see on the lid of this tool chest? 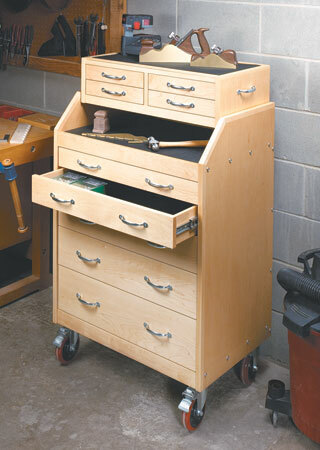 It may seem impossible, but you’ll learn how easy it is to perform this feat of woodworking magic. 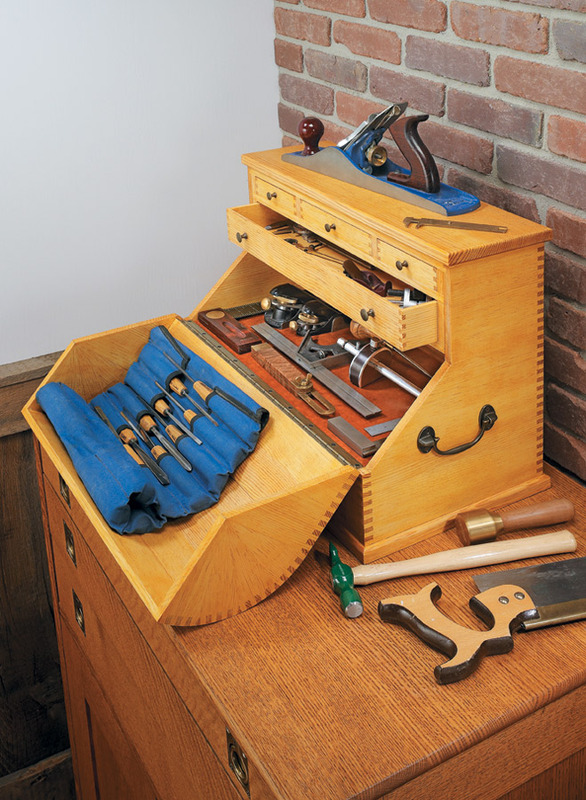 Building a handsome home for your tools is always a special project, and this tool chest is no exception. 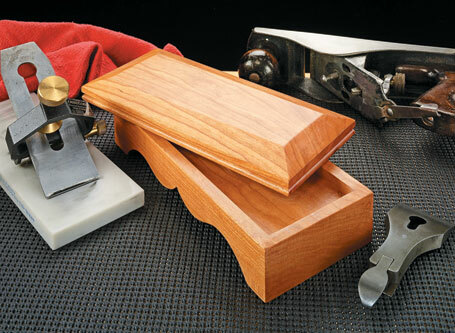 These sharp-looking boxes provide protection for your stones while keeping them handy whenever you need them. 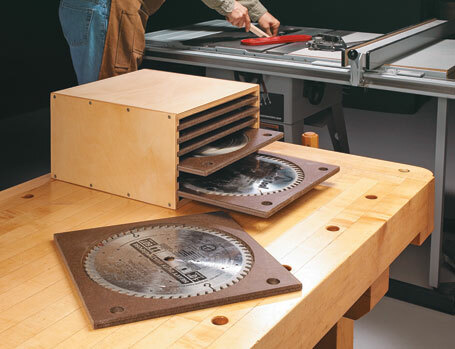 Here are three easy-to-build storage systems that protect your saw blades while also keeping them well organized.